According to the Environmental Protection Agency, the U.S. uses billions of gallons of water every year flushing toilets. 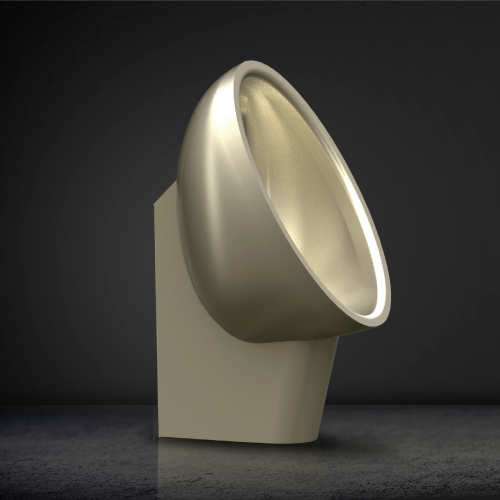 Lower utility costs is only one of the benefits to waterless urinals. Many companies are taking advantage of these systems and reaping the benefits. According to the Environmental Protection Agency, the U.S. uses five billion of gallons of water a year to flush toilets. Toilets actually account for about half of a building’s water expenses. Waterless urinals do not use any water to flush. Therefore, one to five gallons of water is saved with every use. These waterless urinals are environmentally friendly and save valuable resources. Not only that, the special drain cartridges are recyclable. The installation of these special urinals also helps interested developers earn green building certifications and water conservation points for the U.S. Green Building Council. Many experts agree that these urinals reduce maintenance needs. The flush valves on regular urinals often require repeated repairs. Not only that, with the lack of water, clogged drains are no longer an issue. These urinals come with a removable cartridge that is easy to maintain as well. These models are especially useful for locations not connected to a sewer system. They are optimal for parks and rest areas. Waterless urinals also are reported to be more sanitary than their counterparts. Water used in regular urinals provides the warm moist environment that bacteria and germs need to grow. Waterless urinals have no handle and do not require any touch. This reduces the spread of germs as well. The lack of flushing also reduces germs that go airborne during a high force flush. These urinals also tend to contain less orders due to the lack of urine and water sitting in the tank. 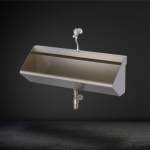 At Stainless AD, we provide a stylish product for your restrooms. 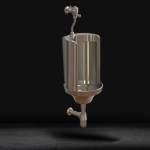 Not only does this urinal save water and provide a cleaner environment, we offer urinals in stainless steel attractive models. We offer a wide variety of lavatories and urinals for different price points. If you are interested in reaping the benefits of better hygiene in your restrooms and lower utility costs we can help. Be sure to contact us today to find out more about our different models. One of our experts will be available to answer questions and set up an appointment to receive a quote!